If you are a college or high school student in South Carolina who enjoys the outdoors, why not enter the South Carolina Wildlife magazine essay contest? The deadline is April 30, 2019. Horry-Georgetown Technical College’s Forestry and Wildlife Program is the only accredited associate degree program of its kind in South Carolina. As part of the course, professor Jim Westerhold incorporates hands-on land management training and discusses public relations in the forestry/wildlife arena. Calling all outdoor photographers! Got a fantastic nature photo that you’ve been holding on to? Or maybe you’ve taken some photos during your outdoor adventures this past holiday season? Why not enter the South Carolina Wildlife/ Hampton Wildlife Fund photography contest?  Winning entries will receive cash prizes and a debut in the “wildly” popular South Carolina Wildlife magazine – celebrating its 65th anniversary in 2019! The included photos are past entries from each category: Birds, Recreation, Wildlife and Scenic. Deadline is February 15, 2019. Recent U of SC graduate Julia Moye works daily with the SCDNR media outreach team to keep us updated on the latest natural resources news. In this SCWILD “look back,” Moye takes a moment to reflect on a few of her favorite South Carolina Wild stories and explains why they caught her attention. U of SC research team uses trail cameras all over the world to monitor the natural behavior of wildlife in environmentally impacted areas. South Carolina Wildlife magazine is proud to announce its inaugural personal essay contest which aims to feature the best high school and undergraduate nature writing. Paul Copeland bought a 1979 Ford F150 that he spotted in an overgrown lot. Looking back, bringing it back to life with his father was well worth the investment.